Six Wildcard boardriders clubs are set to shake up the nudie Australian Boardriders Battle Series VI National Final at Newcastle Beach on February 16-17. 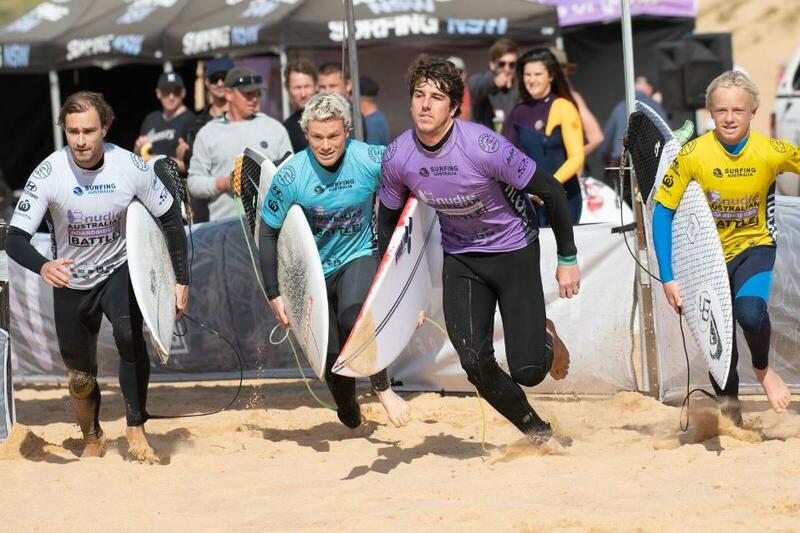 Newcastle’s Merewether Surfboard Club joins Phillip Island Boardriders Club, North Shelly Boardriders Club, North Narrabeen Boardriders Club and Culburra Beach Boardriders Club as five of the six wildcard clubs to compete in the two-day National Final. The 24th club to gain entry into the National Final will be the winner of the nudie Trials on Saturday 16th February, the final qualifying opportunity for clubs in the Newcastle region for the last Wildcard position. Merewether will boast a line-up that will include the likes of World Surf League (WSL) star Ryan Callinan whilst defending Champions Culburra Beach Boardriders Club will potentially field a team consisting of three members of the Wright family with two-time WSL Women’s World Champion Tyler to join brothers and WSL men’s tour stars Owen and Mikey in what will be a hard team to beat. Bede Durbidge (Point Lookout), Adrian Buchan (Avoca), Soli Bailey (Byron Bay), Bronte Macaulay (Margaret River), Nikki van Dijk (Phillip Island) and Connor Oleary (Elouera) are just a few of the many other big names to bolster an already star-studded field of surfers. The nudie Australian Boardriders Battle is the country's biggest grassroots boardriders event, involving more than 60 of Australia’s best boardriders clubs. Taking place across eight state qualifying rounds, 24 qualifying clubs will come together at the National Final in Newcastle in February to decide who'll be crowned Australia's best boardriding club. The 2018/19 nudie Australian Boardriders Battle is proudly supported by nudie, Woolworths, Hyundai, AirAsia, Summer Bright Lager, Drink Wise, 2XP, LocalSearch, WSL, MySurf.Tv, Fox Sports, The City of Newcastle, The NSW Government Visit NSW and Surfing Australia.